When our capital and capacity-building campaign launched in 2014, the goals were three-fold: fund enhancements to the Molly Brown House Museum, create a new Action Fund to forge community partnerships, and establish a Legacy Fund to plan for long-term capital needs. We are proud to share that those goals were met, thanks to our very generous donors, including lead gifts from the Colorado State Historical Fund, Bob Musgraves and Joan Prusse, Ruth Falkenberg and Larry Nelson, and Sharon and Lanny Martin. Other major gifts came from the Gates Family Foundation, Dennis Humphries, Newmont Mining, the Boettcher Foundation, and the Anschutz Foundation. The William Lang-designed museum is now renewed and restored after three years of construction that cost more than $1 million. This tremendous effort involved more than 75 local construction, restoration, and specialty trade businesses from around the region, with more than 200 on the job site over this period. 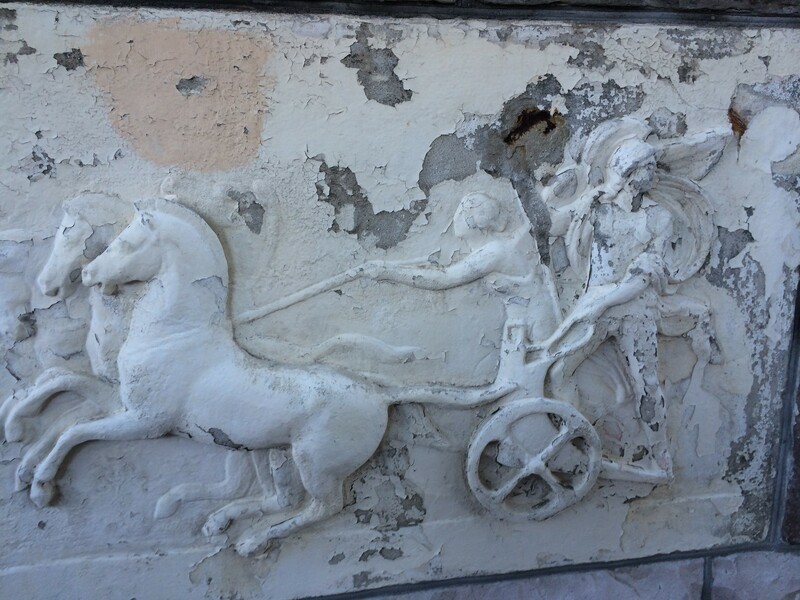 The museum was able to stay open to the public during the entire restoration – throughout dust, noise and tour reroutes, Historic Denver demonstrated best preservation practices to more than 156,000 visitors. The commitment of so many people has preserved this beautiful home and Margaret and J.J. Brown’s lasting legacy of civic engagement for the next century. 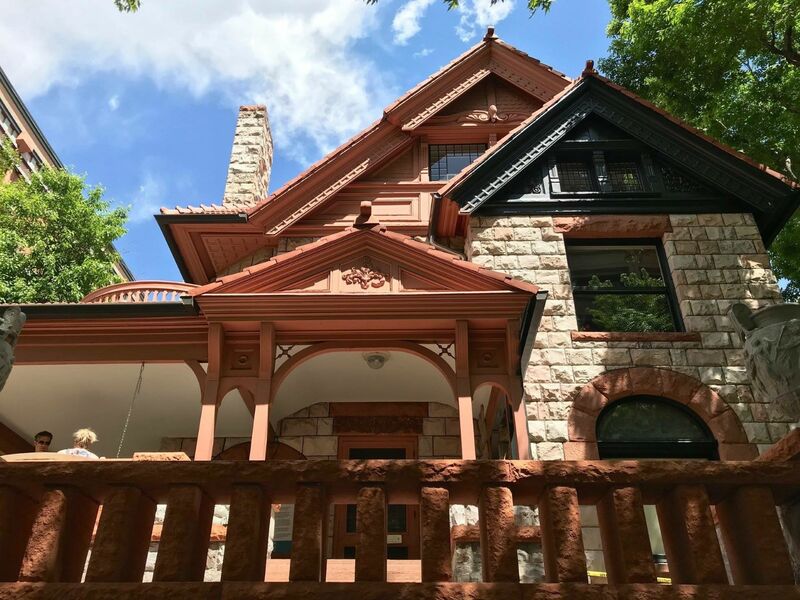 With additional grant support from the Colorado State Historical Fund, Historic Denver rehabilitated the front porch, many of the windows and doors, the stained glass, the carriage house roof, and exterior masonry. Detailed drawings of both the porch stonework and tile, by Kris and Tim Hoehn of Hoehn Architects PC, helped Spectrum General Contractors, Building Restoration Specialties, and American Restoration Tile source and install both the proper sandstone and rhyolite replacements and the replicative tile for the flooring. The drawings also assisted in shoring up the porch structure for years to come by providing for a substantial foundation slab. 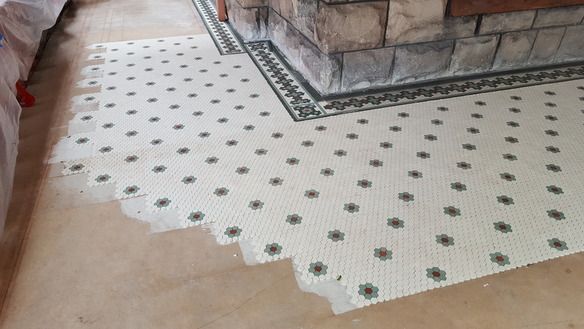 The front porch is stable and crack-free, and we challenge you to figure out which tiles are historic and which are reproductions! Through the meticulous and masterful work of Watkins Stained Glass, Phoenix Windows, and Heritage Window Restoration, we have beautiful, restored, functional, and more energy-efficient windows and doors. Each window opening has unique measurements and required a variety of treatments by Phoenix Window at their shop in Pine, Colo. For the first time in the house’s history, the two-story stained glass on the stairwell was removed and sent to Watkins Stained Glass for full restoration. Through Phil and Jane Watkins, Historic Denver learned what a special treasure the stained glass is, made of faceted crystal pieces, unique colors, and gilded leading. Additional exterior projects included replacing the carriage house roof, gutters, upgrading site drainage, leveling flagstones walkways and – the most transformational – repainting the wood trim a “new” historic color. Using paint analysis, photos, and other detective work, Historic Denver chose the current dark green color most consistently found on houses and carriage houses during 1895-1910, which is the home’s period of interpretive significance. This greenish-black was a commonly used color for the time period, and is believed to have existed concurrently to the front porch, back porch, and roof alterations. This color provides a lovely contrast to the Manitou stone and roof tile color, allowing those stone elements to stand out. One of our most challenging projects was capturing additional space in what was an uninspiring and dingy basement. Architects at Anderson Mason Dale, along with Spectrum General Contractors, managed more than a dozen contractors who slowly transformed a warren of rooms into a beautiful space for use by school groups and all of our visitors. This space allows us to implement new interpretation and new interactive programming, designed with Jackie Noble of Noble Erickson, which includes the rich story of Colorado’s natural resources – including, of course, gold. A new permanent exhibit in the basement’s Natural Resource Education Center explores more deeply the impact of natural resource extraction on Denver and Colorado’s development, both yesterday and today, and more specifically on the Brown family who, like so many people in history, helped build a cultural metropolis from a quest for mineral wealth. Renovations in the basement project allowed us to add a lift to two levels of the museum. This gives visitors with mobility devices (wheelchairs, walkers, etc.) 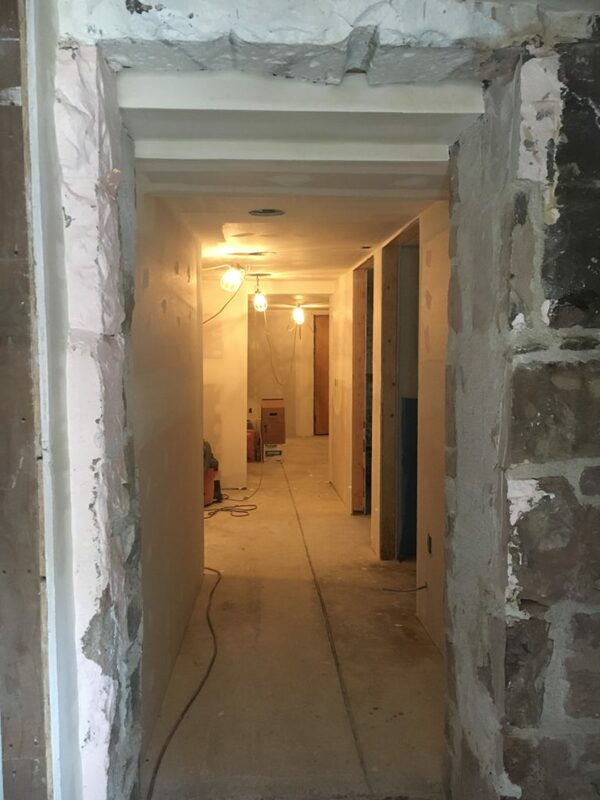 access to the first level of the museum, as well as our new basement space that has accessible restrooms, drinking fountains, and a documentary about Margaret Brown. While the lift does not reach the 2nd and 3rd floors, accommodations allow guests to continue the tour virtually with headsets, photos and video. With these significant achievements, the Investing in Action Capital & Capacity Building Campaign has launched our organization into a bold new era of impact, an era that is now also sustained by the continued growth of our Legacy Fund, a quasi-endowment designed to support future capital needs and continued community action. We are deeply grateful for the many donors that made the campaign successful, and have ensured that Historic Denver has a strong presence in our changing community for years to come. We’re so grateful to everyone who has made this work possible!